Epic Racing Events primary focus is to provide you with safe, but unique events that allow each participant to enjoy their race day. We want each runner to have a memorable race day experience regardless of where they are located in the pack. Epic Racing Events strives to deliver the highest quality in course management, pre and post-race amenities and communication with the participants both before, during and after an event. We want to make your running journey the best it can possibly be. 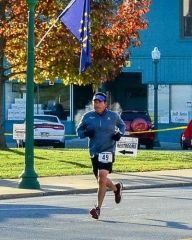 Epic Racing Events LLC was founded by Mike Else, a Fort Wayne resident, avid runner and endurance athlete. 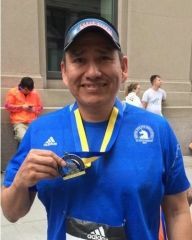 Mike has participated in all levels of races from 5K to 100 mile Ultra Marathon distance. He began racing in 2003 and appreciates the value of a well organized event, whether it's a road race or on the trails. Epic Racing Events is proud to be part of the Fort Wayne and Northeast Indiana running community. We look forward to seeing you at our next event. We want you to "Do Something Epic"....see you at the start line soon!